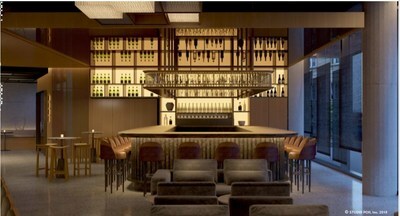 NEW YORK, Jan. 23, 2019 /PRNewswire/ -- Nobu Hospitality, a global luxury lifestyle brand founded by Nobu Matsuhisa, Robert De Niro and Meir Teper, is delighted to announce its continued global expansion into Warsaw, Poland. On track for 20 hotels globally by 2020, Nobu Hotels have become synonymous with passionate service, distinctive design and unpretentious luxury. Reflecting these core values within the local culture, Nobu Hotel Warsaw will be situated in the heart of the historic city. With 120-rooms, expansive meeting and event spaces, fitness centre and signature Nobu Restaurant, it will be an integrated mix of luxurious hotel and energised living spaces. Nobu Hotel's first Polish property will open in the first half of next year and occupy a new building located at Wilcza Street, designed by the Polish architectural firm, Medusa Group, and will also encompass the existing Hotel Rialto. The design refurbishment will be a collaborative effort between Medusa Group and Californian-based, Studio PCH. 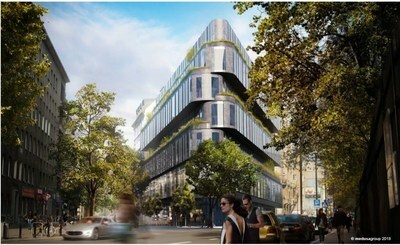 The new building will see a transformative architectural design for Warsaw, blending with the original Rialto building. Warsaw is the cultural heart of Poland, and one of the country's most dynamic cities. With a booming business community, Warsaw has been ranked as the 7th greatest emerging market in the world and continues to evolve as a vibrant leisure destination. Trevor Horwell, Chief Executive Officer of Nobu Hotels said, "As we enter 2019, this is our newest hotel in Europe and the start of an exciting future partnership. We are truly proud to announce Nobu Hotel Warsaw to our growing Nobu Hotel and Restaurant family. This takes our hotel portfolio to 17 hotels underpinning our strategy to carve out our own niche whilst staying true to our brand and loyal Nobu customer." Karolina Kaim, president of Tacit Investment said, "Nobu is a global brand, recognizable thanks to the passion of its founders, exceptional service and excellent cuisine. In combination with Polish openness and energy, we will create an exciting and unique place that will win the hearts of visiting guests. We are especially pleased that we will be able to offer our clients the most famous dishes of the Chef Nobu Matsuhisa, served in Nobu restaurants around the world and for years well known as the highest quality Asian cuisine."